According to the Constitution of Estonia, Estonian is the sole official language. In southern counties, Võro and Seto are spoken along with it. Russian is spoken in parts of Ida-Virumaa and Tallinn. 47,549 km2 (18,359 sq mi) were defined according to the Treaty of Tartu in 1920 between Estonia and Soviet Russia (then communist Bolshevik revolutionary government before 1923 organization of USSR). Today, the remaining 2,323 km2 (897 sq mi) are part of Russia/Russian Federation. The ceded areas include most of the former Petseri County and areas behind the Narva river including Ivangorod (Jaanilinn). Pechory remains under Russian administration. Estonia (Estonian : Eesti [ˈeːsʲti] ( listen )), officially the Republic of Estonia (Estonian: Eesti Vabariik), is a country in Northern Europe. It is bordered to the north by the Gulf of Finland with Finland on the other side, to the west by the Baltic Sea with Sweden on the other side, to the south by Latvia (343 km), and to the east by Lake Peipus and Russia (338.6 km). The territory of Estonia consists of a mainland and 2,222 islands in the Baltic Sea,  covering a total area of 45,227 km2 (17,462 sq mi), water 2,839 km2 (1,096 sq mi), land area 42,388 km2 (16,366 sq mi), and is influenced by a humid continental climate. The official language of the country, Estonian, is the third most spoken Finno-Ugric language. 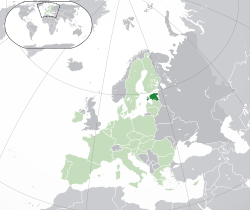 The sovereign state of Estonia is a democratic unitary parliamentary republic divided into fifteen counties. Its capital and largest city is Tallinn. 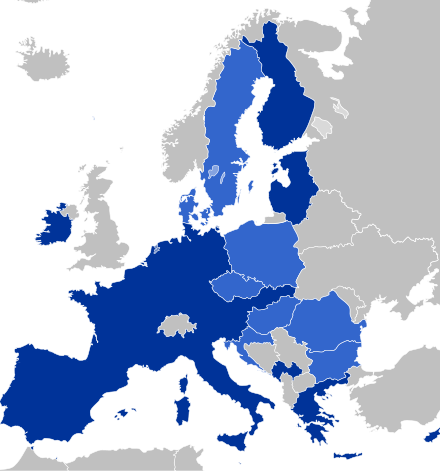 With a population of 1.3 million, it is one of the least-populous member states of the European Union since joining in 2004, the economic monetary Eurozone, Organisation for Economic Co-operation and Development, Schengen Area, and of the Western military alliance of the North Atlantic Treaty Organization (NATO). It is a developed country with an advanced, high-income economy that has been among the fastest-growing in the EU. Estonia ranks very high in the Human Development Index,  and performs favourably in measurements of economic freedom, civil liberties, education,  and press freedom (third in the world in 2012 and 2007). Estonian citizens are provided with universal health care,  free education,  and the longest-paid maternity leave in the OECD. One of the world's most digitally advanced societies,  in 2005 Estonia became the first state to hold elections over the Internet, and in 2014 the first state to provide e-residency. In the Estonian language the oldest known endonym of the Estonians was maarahvas,  meaning "country people" or "people of the soil". The land inhabited by Estonians was called Maavald meaning "Country Realm" or "Land Realm". One hypothesis regarding the modern name of Estonia derives it from the Aesti , a people described by the Roman historian Tacitus in his Germania (ca. 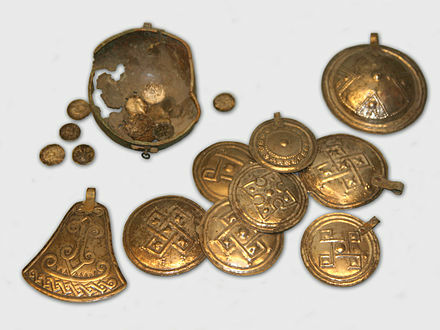 98 AD). The historic Aesti were allegedly Baltic people, whereas the modern Estonians are Finno-Ugric. The geographical areas of the Aesti and of Estonia do not match, with the Aesti living farther south. The Aesti were an ancient people first described by the Roman historian Tacitus in his treatise Germania. According to Tacitus, the territory of Aesti was located somewhere east of the Suiones (Swedes) and west of the Sitones, on the Suebian (Baltic) Sea. This and other evidence suggests that they lived in or near the present-day Russian enclave of Kaliningrad Oblast. Estonia lies on the eastern shores of the Baltic Sea immediately across the Gulf of Finland, on the level northwestern part of the rising East European platform between 57.3° and 59.5° N and 21.5° and 28.1° E. Average elevation reaches only 50 metres (164 ft) and the country's highest point is the Suur Munamägi in the southeast at 318 metres (1,043 ft). There is 3,794 kilometres (2,357 mi) of coastline marked by numerous bays, straits, and inlets. The number of islands and islets is estimated at some 2,355 (including those in lakes). Two of them are large enough to constitute separate counties: Saaremaa and Hiiumaa. A small, recent cluster of meteorite craters, the largest of which is called Kaali is found on Saaremaa, Estonia. The Government of Estonia (Estonian : Vabariigi Valitsus) or the executive branch is formed by the Prime Minister of Estonia, nominated by the president and approved by the parliament. 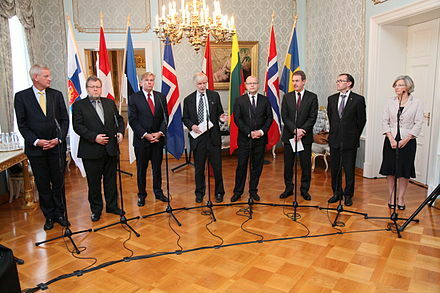 The government exercises executive power pursuant to the Constitution of Estonia and the laws of the Republic of Estonia and consists of twelve ministers, including the Prime Minister. The Prime Minister also has the right to appoint other ministers and assign them a subject to deal with. These are ministers without portfolio – they don't have a ministry to control. Estonia has pursued the development of the e-state and e-government. Internet voting is used in elections in Estonia. The first internet voting took place in the 2005 local elections and the first in a parliamentary election was made available for the 2007 elections, in which 30,275 individuals voted over the internet. Voters have a chance to invalidate their electronic vote in traditional elections, if they wish to. In 2009 in its eighth Worldwide Press Freedom Index, Reporters Without Borders ranked Estonia sixth out of 175 countries. In the first ever State of World Liberty Index report, Estonia was ranked first out of 159 countries. According to the Constitution of Estonia (Estonian : Põhiseadus) the supreme power of the state is vested in the people. The people exercise their supreme power of the state on the elections of the Riigikogu through citizens who have the right to vote. The supreme judicial power is vested in the Supreme Court or Riigikohus, with nineteen justices. The Chief Justice is appointed by the parliament for nine years on nomination by the president. The official Head of State is the President of Estonia, who gives assent to the laws passed by Riigikogu, also having the right of sending them back and proposing new laws. The President, however, does not use these rights very often, having a largely ceremonial role. He or she is elected by Riigikogu, with two-thirds of the votes required. If the candidate does not gain the number of votes required, the right to elect the President goes over to an electoral body, consisting of the 101 members of Riigikogu and representatives from local councils. As in other spheres, Estonian law-making has been successfully integrated with the Information Age. 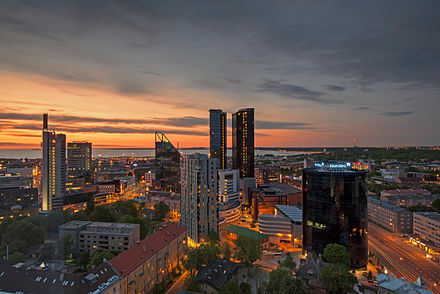 Municipalities range in size of population from Tallinn with around 450,000 inhabitants to Ruhnu with as few as around 150. They also range fairly in area from Saaremaa Parish (2717,83 km²) to Loksa town (3,82 km²). As of October 2017 [update] , after the Administrative reform of Estonia, there are a total of 79 municipalities in Estonia, 14 of them being urban and 65 rural. Previously there were 213 municipalities. Other Estonian international organization memberships include OECD, OSCE, WTO, IMF, and Council of the Baltic Sea States. Relations with Russia remain generally cold, although there is some practical cooperation. In 2018, Estonia was one of the founding members of the New Hanseatic League, an intra-EU grouping of Northern European member states focused around matters of fiscal policy. The military of Estonia is based upon the Estonian Defence Forces (Estonian : Kaitsevägi), which is the name of the unified armed forces of the republic with Maavägi (Army), Merevägi (Navy), Õhuvägi (Air Force) and a paramilitary national guard organisation Kaitseliit (Defence League). 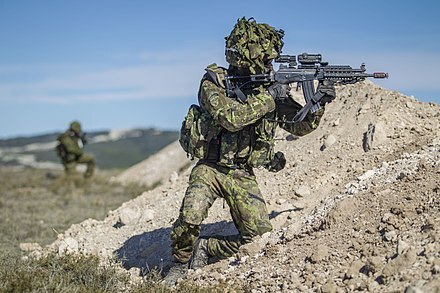 The Estonian National Defence Policy aim is to guarantee the preservation of the independence and sovereignty of the state, the integrity of its land, territorial waters, airspace and its constitutional order. Current strategic goals are to defend the country's interests, develop the armed forces for interoperability with other NATO and EU member forces, and participation in NATO missions. According to Eurostat, Estonia had the lowest ratio of government debt to GDP among EU countries at 6.7% at the end of 2010. A balanced budget, almost non-existent public debt, flat-rate income tax, free trade regime, competitive commercial banking sector, innovative e-Services and even mobile-based services are all hallmarks of Estonia's market economy. 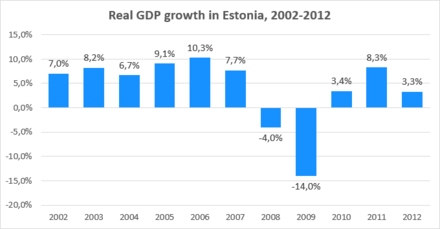 However, there are vast disparities in GDP between different areas of Estonia; currently, over half of the country's GDP is created in Tallinn. In 2008, the GDP per capita of Tallinn stood at 172% of the Estonian average,  which makes the per capita GDP of Tallinn as high as 115% of the European Union average, exceeding the average levels of other counties. In 1928, a stable currency, the kroon , was established. It is issued by the Bank of Estonia, the country's central bank. The word kroon (Estonian pronunciation: [ˈkroːn] , "crown") is related to that of the other Nordic currencies (such as the Swedish krona and the Danish and Norwegian krone). The kroon succeeded the mark in 1928 and was used until 1940. After Estonia regained its independence, the kroon was reintroduced in 1992. Food, construction, and electronic industries are currently among the most important branches of Estonia's industry. [ citation needed ] In 2007, the construction industry employed more than 80,000 people, around 12% of the entire country's workforce. Another important industrial sector is the machinery and chemical industry, which is mainly located in Ida-Viru County and around Tallinn. Estonia has a strong information technology sector, partly owing to the Tiigrihüpe project undertaken in the mid-1990s, and has been mentioned as the most "wired" and advanced country in Europe in the terms of e-Government of Estonia. A new direction is to offer those services present in Estonia to the non-residents via e-residency program. Estonia has had a market economy since the end of the 1990s and one of the highest per capita income levels in Eastern Europe. Proximity to the Scandinavian and Finnish markets, its location between the East and West, competitive cost structure and a highly skilled labour force have been the major Estonian comparative advantages in the beginning of the 2000s (decade). As the largest city, Tallinn has emerged as a financial centre and the Tallinn Stock Exchange joined recently with the OMX system. Several cryptocurrency trading platforms are officially recognized by the government, such as CoinMetro. The current government has pursued tight fiscal policies, resulting in balanced budgets and low public debt. 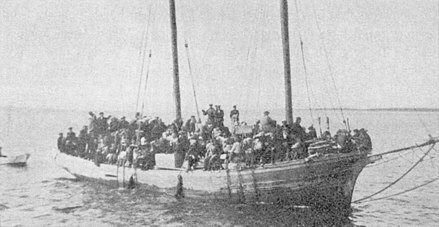 Before World War II, ethnic Estonians constituted 88% of the population, with national minorities constituting the remaining 12%. The largest minority groups in 1934 were Russians, Germans, Swedes, Latvians, Jews, Poles, Finns and Ingrians. The share of Baltic Germans in Estonia had fallen from 5.3% (~46,700) in 1881 to 1.3% (16,346) by the year 1934,   which was mainly due to emigration to Germany in the light of general Russification in the end of the 19th century and the independence of Estonia in the 20th century. 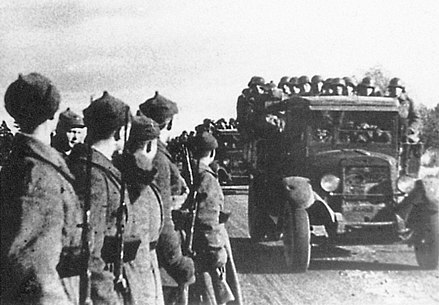 Between 1945 and 1989, the share of ethnic Estonians in the population resident within the currently defined boundaries of Estonia dropped to 61%, caused primarily by the Soviet programme promoting mass immigration of urban industrial workers from Russia, Ukraine, and Belarus, as well as by wartime emigration and Joseph Stalin's mass deportations and executions. [ citation needed ] By 1989, minorities constituted more than one-third of the population, as the number of non-Estonians had grown almost fivefold. The Estonian Cultural Autonomy law that was passed in 1925 was unique in Europe at that time. Cultural autonomies could be granted to minorities numbering more than 3,000 people with longstanding ties to the Republic of Estonia. Before the Soviet occupation, the Germans and Jewish minorities managed to elect a cultural council. 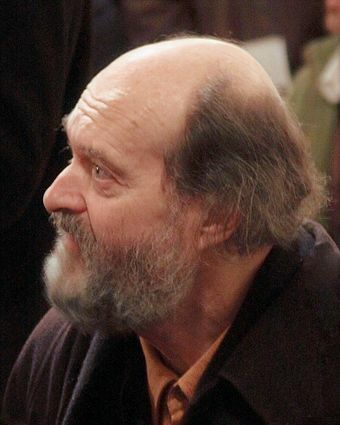 The Law on Cultural Autonomy for National Minorities was reinstated in 1993. 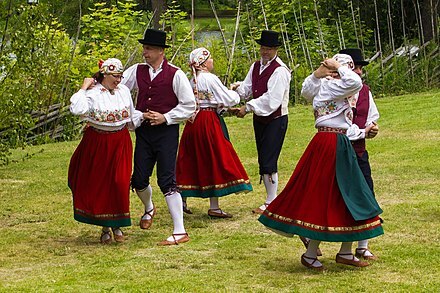 Historically, large parts of Estonia's northwestern coast and islands have been populated by indigenous ethnically Rannarootslased (Coastal Swedes). Estonia was Christianised by the Teutonic Knights in the 13th century. The Protestant Reformation led to the establishment of the Lutheran church in 1686. 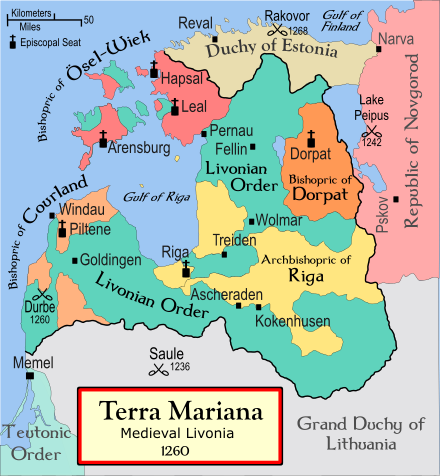 Before the Second World War, Estonia was approximately 80% Protestant, overwhelmingly Lutheran,    followed by Calvinism and other Protestant branches. Many Estonians profess not to be particularly religious, because religion through the 19th century was associated with German feudal rule. 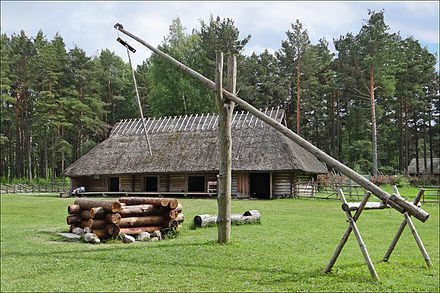 There has historically been a small but noticeable minority of Russian Old-believers near the Lake Peipus area in Tartu County. 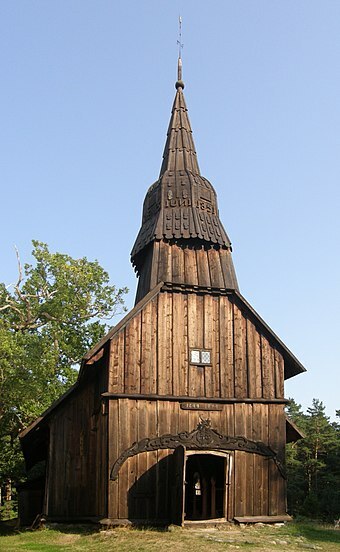 Traditionally, the largest religious denomination in the country was Lutheranism, which was adhered to by 160,000 Estonians (or 13% of the population) according from 2000 census, principally ethnic Estonians. Other organisations, such as the World Council of Churches, report that there are as many as 265,700 Estonian Lutherans. Additionally, there are between 8,000–9,000 members abroad. However, the 2011 census indicated that Eastern Orthodoxy had surpassed Lutheranism, accounting for 16.5% of the population (176,773 people). Russian is still spoken as a secondary language by forty- to seventy-year-old ethnic Estonians, because Russian was the unofficial language of the Estonian SSR from 1944 to 1991 and taught as a compulsory second language during the Soviet era. 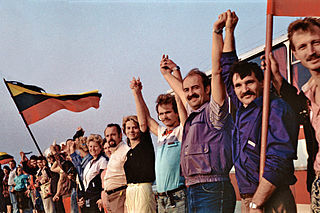 In 1998, most first- and second-generation industrial immigrants from the former Soviet Union (mainly the Russian SFSR) did not speak Estonian. However, by 2010, 64.1% of non-ethnic Estonians spoke Estonian. The latter, mostly Russian-speaking ethnic minorities, reside predominantly in the capital city of Tallinn and the industrial urban areas in Ida-Virumaa. 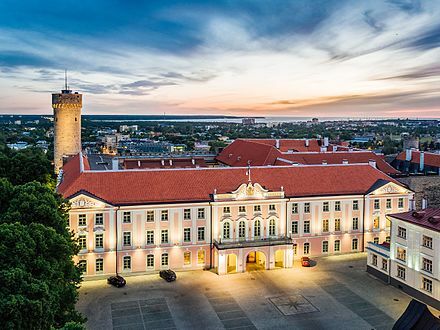 The history of formal education in Estonia dates back to the 13th and 14th centuries when the first monastic and cathedral schools were founded. The first primer in the Estonian language was published in 1575. 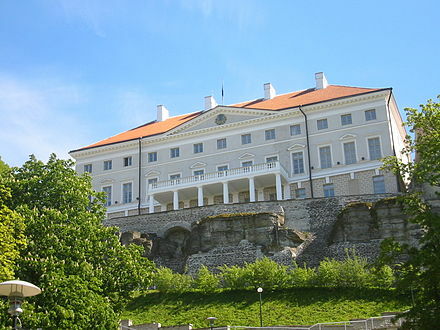 The oldest university is the University of Tartu, established by the Swedish king Gustav II Adolf in 1632. In 1919, university courses were first taught in the Estonian language. Academic higher education in Estonia is divided into three levels: bachelor's, master's, and doctoral studies. In some specialties (basic medical studies, veterinary, pharmacy, dentistry, architect-engineer, and a classroom teacher programme) the bachelor's and master's levels are integrated into one unit. Estonian public universities have significantly more autonomy than applied higher education institutions. In addition to organising the academic life of the university, universities can create new curricula, establish admission terms and conditions, approve the budget, approve the development plan, elect the rector, and make restricted decisions in matters concerning assets. Estonia has a moderate number of public and private universities. 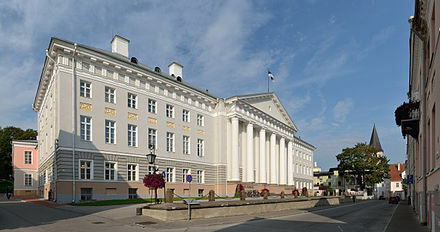 The largest public universities are the University of Tartu, Tallinn University of Technology, Tallinn University, Estonian University of Life Sciences, Estonian Academy of Arts; the largest private university is Estonian Business School. Estonia won the Eurovision Song Contest in 2001 with the song "Everybody" performed by Tanel Padar and Dave Benton. 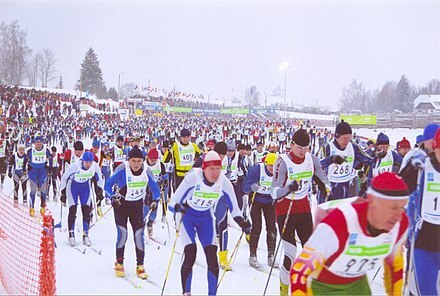 In 2002, Estonia hosted the event. Maarja-Liis Ilus has competed for Estonia on two occasions (1996 and 1997), while Eda-Ines Etti, Koit Toome and Evelin Samuel owe their popularity partly to the Eurovision Song Contest. Lenna Kuurmaa is a very popular singer in Europe[ citation needed ], with her band Vanilla Ninja. "Rändajad" by Urban Symphony, was the first ever song in Estonian to chart in the UK, Belgium, and Switzerland. The cultural stratum of Estonian was originally characterised by a largely lyrical form of folk poetry based on syllabic quantity. Apart from a few albeit remarkable exceptions, this archaic form has not been much employed in later times. 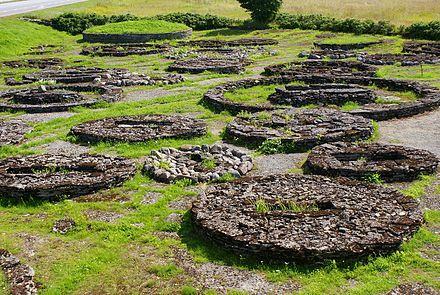 One of the most outstanding achievements in this field is the national epic Kalevipoeg . At a professional level, traditional folk song reached its new heyday during the last quarter of the 20th century, primarily thanks to the work of composer Veljo Tormis. 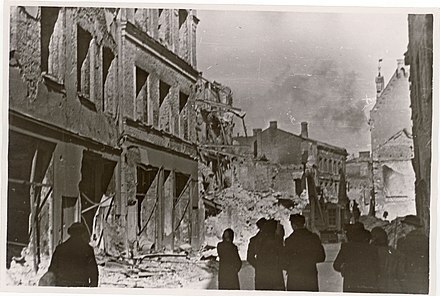 The cinema of Estonia started in 1908 with the production of a newsreel about Swedish King Gustav V's visit to Tallinn. The first public TV broadcast in Estonia was in July 1955. Regular, live radio broadcasts began in December 1926. Deregulation in the field of electronic media has brought radical changes compared to the beginning of the 1990s. The first licenses for private TV broadcasters were issued in 1992. The first private radio station went on the air in 1990. Historically, the cuisine of Estonia has been heavily dependent on seasons and simple peasant food. Today, it includes many typical international foods. 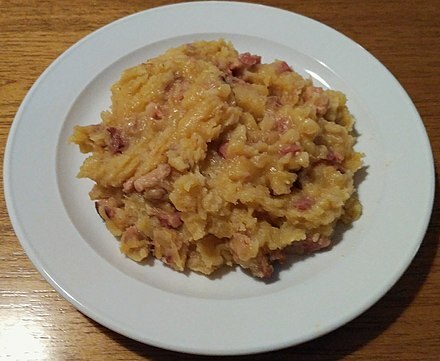 The most typical foods in Estonia are black bread, pork, potatoes, and dairy products. Traditionally in summer and spring, Estonians like to eat everything fresh – berries, herbs, vegetables, and everything else that comes straight from the garden. Hunting and fishing have also been very common, although currently hunting and fishing are enjoyed mostly as hobbies. Today, it is also very popular to grill outside in summer. The Republic of Estonia gained its independence from the Russian Empire on 24 February 1918 and established diplomatic relations with many countries via membership of the League of Nations. The forcible incorporation of Estonia into the Soviet Union in 1940 was not generally recognised by the international community and the Estonian diplomatic service continued to operate in some countries. Following the restoration of independence from the Soviet Union, Russia was one of the first nations to re-recognize Estonia's independence. Estonia's immediate priority after regaining its independence was the withdrawal of Russian forces from Estonian territory. In August 1994, this was completed. However, relations with Moscow have remained strained primarily because Russia decided not to ratify the border treaty it had signed with Estonia in 1999. The national flag of Estonia is a tricolour featuring three equal horizontal bands of blue (top), black, and white. The normal size is 105 by 165 centimetres. In Estonian it is colloquially called the "sinimustvalge", after the colors of the bands. The Estonia national football team represents Estonia in international football and is controlled by the Estonian Football Association, the governing body for football in Estonia. Estonia play their home matches at the A. Le Coq Arena in Tallinn, Estonia. 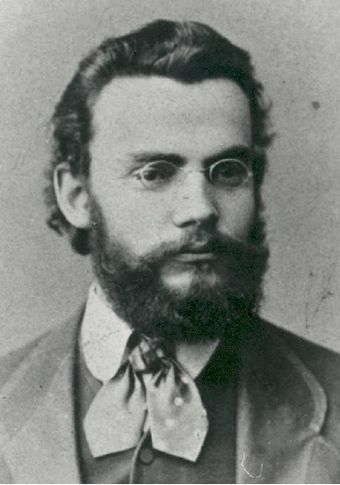 Jüri Uluots was an Estonian prime minister, journalist, prominent attorney and distinguished Professor and Dean of the Faculty of Law at the University of Tartu. 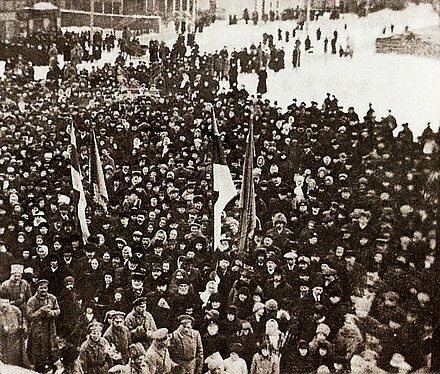 The Commune of the Working People of Estonia was an unrecognised government claiming the Bolshevik-occupied parts of Republic of Estonia as its territories during the Estonian War of Independence and the Russian Civil War. Artur Sirk was an Estonian political and military figure. A veteran of the country's struggle for independence Sirk later became a leading figure within the right-wing Vaps Movement and an outspoken opponent of the government. 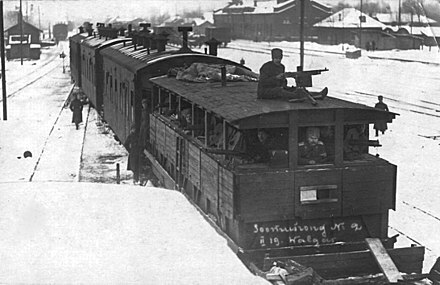 The history of rail transport in Estonia starts in 1870 when a line was opened connecting Paldiski, Tallinn, Tapa and Narva; the line extending all the way to St. Petersburg in Russia. ↑ "Minifacts About Estonia 2017" . Retrieved 19 July 2017. ↑ Alis, Tammur. "Immigration exceeded emigration for the third year in a row". Statistics Estonia. ↑ "Welcome to E-stonia, the world's most digitally advanced society". Wired. Retrieved 20 October 2018. ↑ Tacitus, Cornelius (1893). "Germania: 45". In Abel Grosvenor Hopkins. The Agricola and Germania. The students' series of Latin classics (in Latin). Boston: Leach, Shewell, and Sanborn. p. 74. 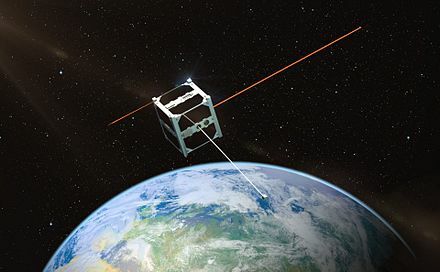 Retrieved 12 April 2019. [...] dextro Suebici maris litore Aestiorum gentes adluuntur, quibus ritus habitusque Sueborum, lingua Britannicae propior. 1 2 Laurisaar, Riho (31 July 2004). "Arheoloogid lammutavad ajalooõpikute arusaamu" (in Estonian). Eesti Päevaleht . Retrieved 1 November 2016. ↑ Laurisaar, Riho (29 April 2006). "Arheoloogid lammutavad ajalooõpikute arusaamu" (in Estonian). Eesti Päevaleht . Retrieved 4 November 2016. ↑ "European Commission – PRESS RELEASES – Press release – Land Use/Cover Area frame Survey 2012 Buildings, roads and other artificial areas cover 5% of the EU ...and forests 40%" . Retrieved 27 March 2015. ↑ "Mammals in Estonia". Estonian Nature Tours. Autumn 2017. Retrieved 26 December 2018. ↑ "Functions" . Retrieved 27 March 2015. ↑ "Introduction" . Retrieved 27 March 2015. 1 2 3 4 5 "Estonia country brief". Department of Foreign Affairs and Trade (Australia) . Retrieved 22 February 2018. ↑ Smyth, Patrick (7 May 2016). 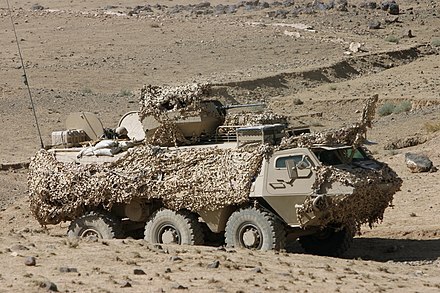 "World View: German paper outlines vision for EU defence union". Irish Times . Retrieved 22 February 2018. ↑ Dahl, Ann Sofie; Järvenpää, Pauli (2014). 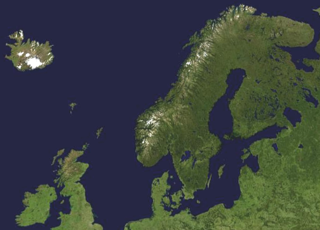 Northern Security and Global Politics: Nordic-Baltic strategic influence in a post-unipolar world. Routledge. p. 166. ISBN 978-0-415-83657-9 . Retrieved 24 December 2016. 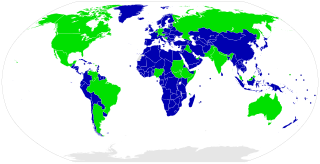 ↑ "List of OECD Member countries - Ratification of the Convention on the OECD". OECD . Retrieved 22 February 2018. ↑ "Participating States". OSCE . Retrieved 22 February 2018. 1 2 Mardiste, David (1 January 2011). "Estonia joins crisis-hit euro club". Reuters . Retrieved 2 January 2011. ↑ "Real GDP per capita, growth rate and totals". Stat.ee. Statistics Estonia. Archived from the original on 14 November 2013. Retrieved 25 November 2012. ↑ "Rankings & Ease of Doing Business Score". Doing Business. The World Bank. Retrieved 25 January 2019.